We'd go by anything that SZA recommends — like, have you seen her? So when she became the zillionth person to tell us that she swears by castor oil for her hair instead of coconut oil, we knew it was finally time to explore it further. Turns out, the ingredient is popping up in many new hair launches (along with our tried-and-trues) for a reason. "Castor oil has been shown to improve circulation, which helps hair growth," Ron Robinson, cosmetic chemist and CEO of BeautyStat, tells us. "It also adds shine and conditions the hair." Jamaicans have sworn by it for years as well, often considering it an "all-purpose healer" according to Lois Hines, founder and CEO of Tropic Isle Living. "The oil is anti-fungal and antibacterial. 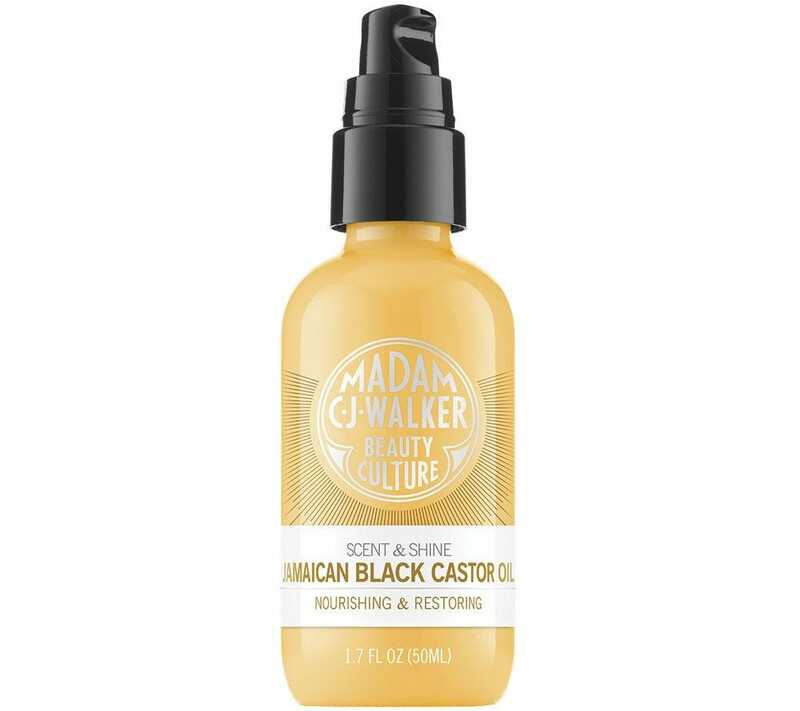 Jamaican Black Castor Oil, specifically, has become popular over the years because it's a great sealant, which helps the hair and skin to retain moisture," she says. "Traditionally, it is used as a laxative, to heal baby’s umbilical cords, and to relieve body aches through a massage with the oil. As for skin care, it aids with hyper-pigmentation, reduces the appearance of dark spots, and combats acnes and scarring." 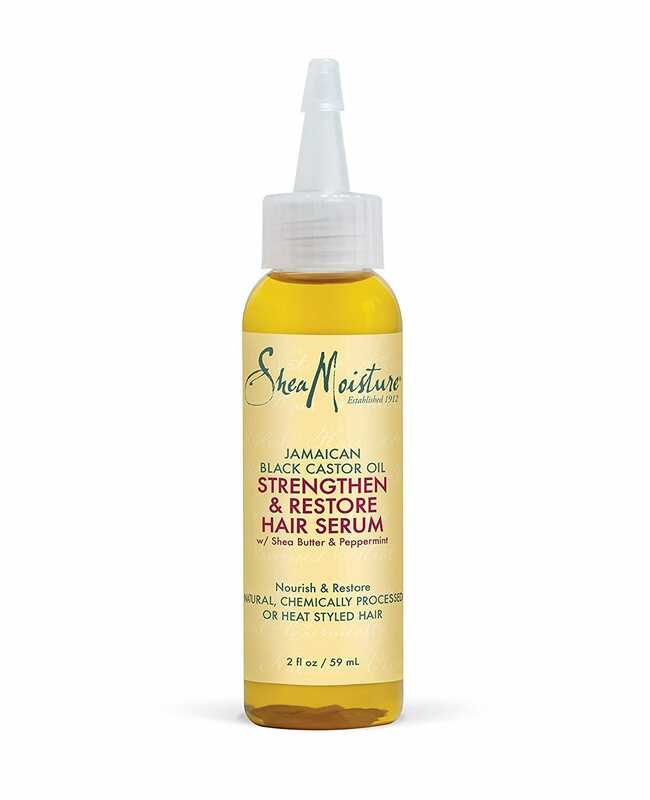 Thanks in part to the powerful properties that can benefit all hair textures and all skin types, Jamaica's secret weapon is finally making its way into our favorite beauty aisles. Learn more about castor oil — and the hair products currently available on the market — ahead. 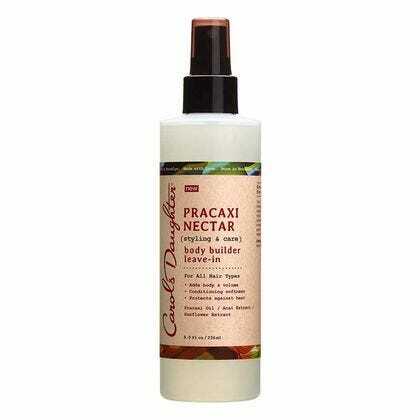 First things first: Castor oil is derived from the seeds of the castor bean plant. It's rich in a fatty acid called ricinoleic acid and regenerates a lipid called prostaglandin, Hines explains, which is the catalyst for hair growth. The oil is beneficial for anyone experiencing traction alopecia and thinning hair. Aside from that, castor oil also eases constipation, heals skin infections, and hydrates chapped lips. Remember when SZA said that coconut oil dried her hair out? Well, it's all because of the density. 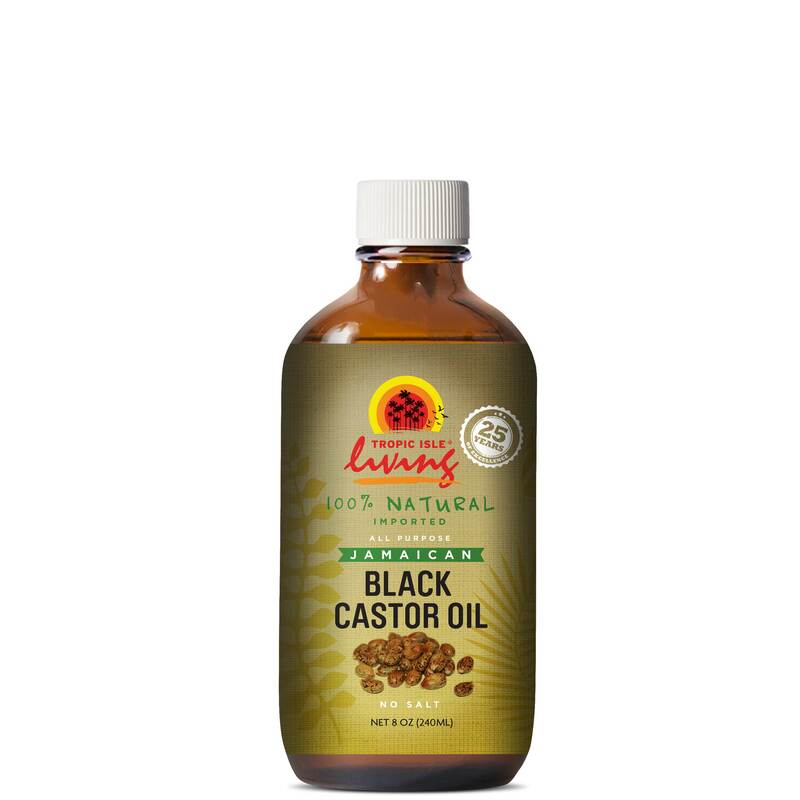 Castor oil, specifically Jamaican Black, is thick... and it absorbs really quickly. Basically, coconut oil has less density and adds a lightweight sheen. Robinson adds that they have different chemical compositions, too: While coconut oil is rich in caprylic and lauric acids (both are fatty), it's way better for daily use. "Castor oil is a problem solver," he says. If you apply heat to your natural hair often, it's important to protect your curls against damage. This serum's key ingredient is Jamaican black castor oil, which promotes healthy hair growth and also conditions and restores, so you can be a little less afraid of your hair straightener. Consider this fragrant, nutrient-rich oil a mini retreat — it's meant to be massaged into your roots and through your hair for a relaxing and hydrating experience. 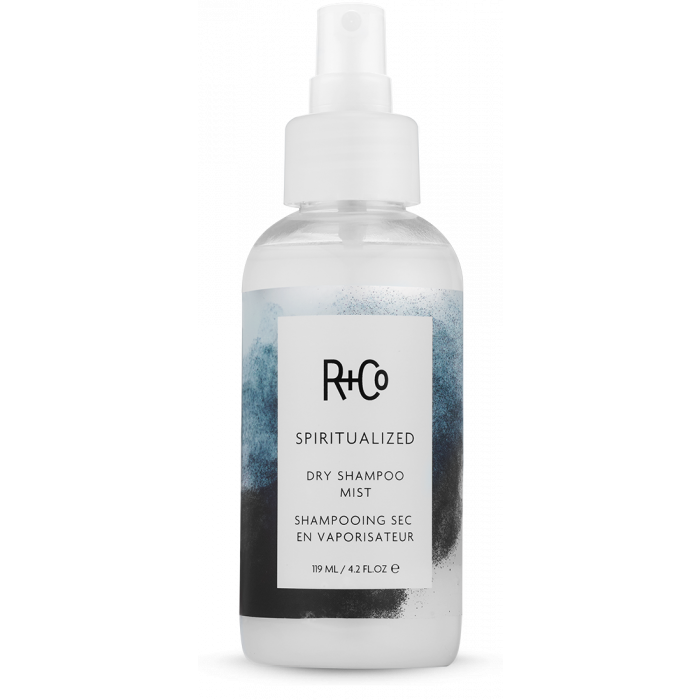 Aside from lifting residue and buildup from the scalp, R+Co's new dry shampoo mist also works to moisturize and condition, instead of drying your third-day hair to oblivion, like many dry shampoo options. Another winner from the cool kid's go-to hair brand: this easy, perfectly portable twist-up stick, which works as well for taming flyaways as it does for creating a sleek, well-groomed look. Castor oil and jojoba esters leave hair shiny and moisturized without leaving residue behind, and the plant-derived candelilla wax holds your style in place for as long as you need it to. Bonus points for the fine fragrance-worthy scent. "I’m so in love with this one!" Kristen Ess wrote on Instagram of her line's hero product. "It’s a blend of castor oil & coconut oil that comes in a stick and you can use it in sooo many different ways! You can use it as a pre-shampoo treatment if your hair is feeling dry, you can sleep with it on your ends because it comes with a bun cap which will protect your pillow, you can use it to moisturize & nourish your edges, you can use it before styling thicker, coarse, or curly hair in braids, a bun, or waves and leave it in while you do life." Curly and coily hair tends to dry out really fast. A leave-in with castor oil (along with pracaxi oil and acai extract) doesn't just leave your 'fro hydrated — it also provides a whole lot of body. Talk about a two-for-one special. "For coily hair, castor oil is essential for the 'LOC' method," Hines says. "Castor oil locks moisture in, like your water and your leave-in, and prepares your hair for styling." 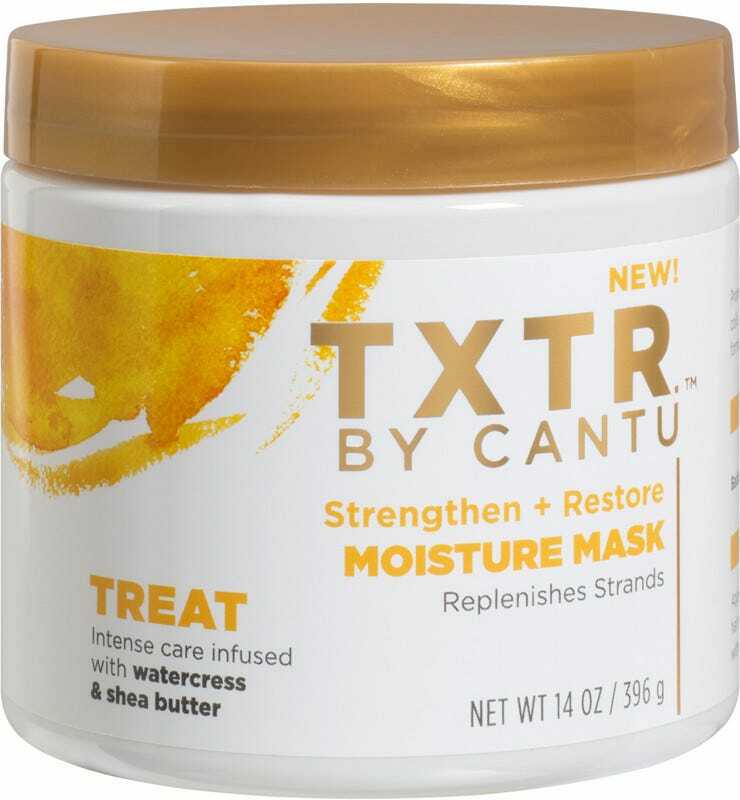 Using this recently-launched mask before a twist-out will maximize the style even further. Need your curls to bounce back? 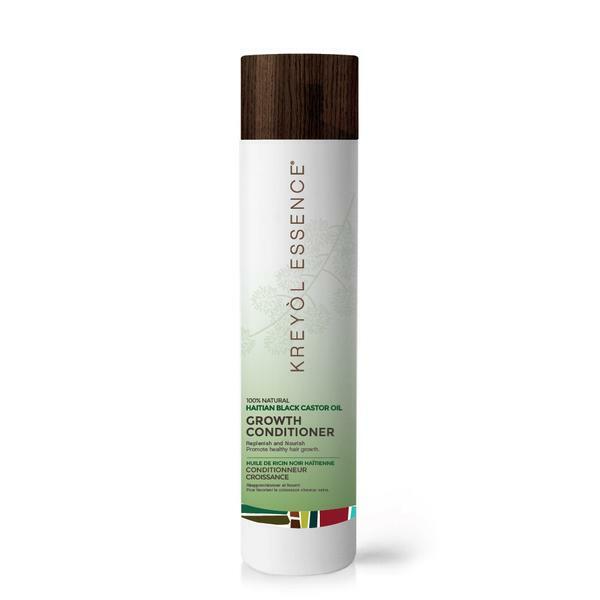 The wheat protein and Haitian castor oil (which is unrefined and lighter in color versus its Jamaican counterpart) in this conditioner promotes growth and shine. written by Khalea Underwood; Photographed by Megan Madden.